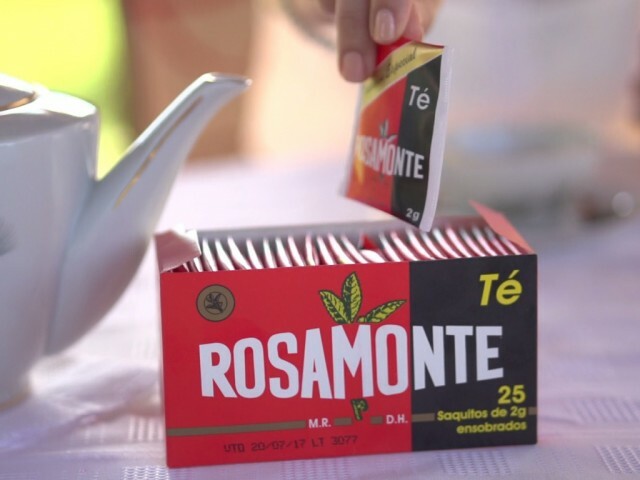 Tea | Rosamonte - HREÑUK S.A. 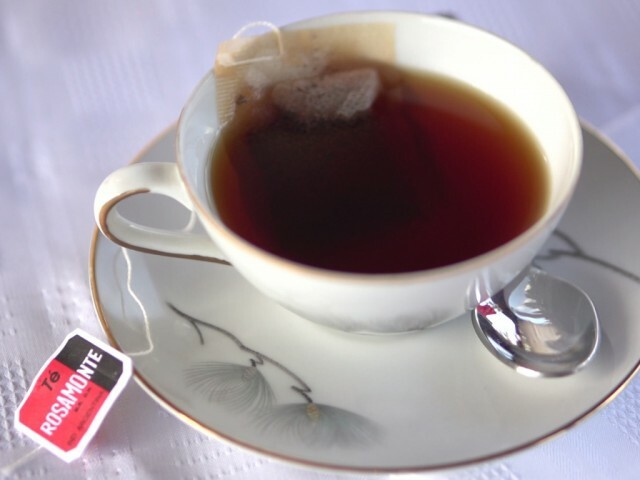 Tea used to be protagonist in the argentine afternoon. Now it is beginning to have a leading role again at everyone´s tea time. 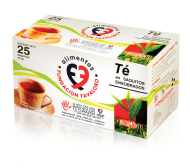 In our teas we apply know how, technology and the adequate treatments for its elaboration, rendering maximum quality, good flavor, aroma and color. 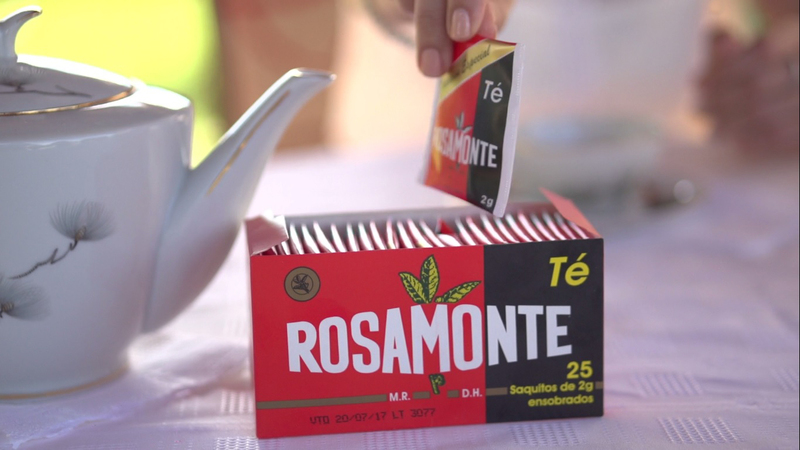 Rosamonte tea bags without wraps. In the case of tea plants, what is harvested is only the top sprout. Temperature and moisture control are fundamental in this process now that it can generate alterations in the leaf, this is why harvest has to be done fast to avoid high temperatures. Our Company has designed and manufactured the machines for the harvest to be adequate. Depending on climatic conditions 12 to 15 harvests per season are done. 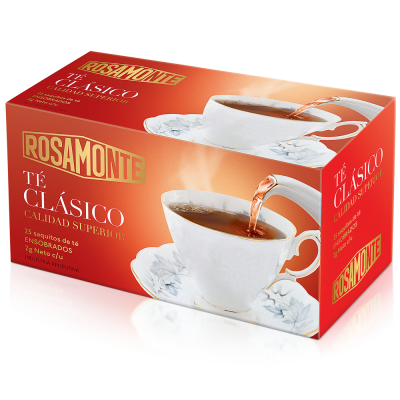 At ROSAMONTE we always harvest tender sprouts to obtain a good black tea in the elaboration. Image 1 - Tea plantation and combine harvest. Image 2 - Tea plantation and combine harvest. Image 3 - Tea plantation and combine harvest. Image 4 - Tea plantation and combine harvest. Image 5 - Tea plantation. Image 6 - Tea plantation. Image 8 - Tea plantation. Image 7 - Tea plantation. Image 9 - Tea plantation. The harvested sprout is discharged in an artificially oxygenated space where it is transported mechanically to the withering sector. At this point we proceed to remove the green leaf moisture with air between 25°C and 35° C. The duration of the process is from 12 to 18 hours for the physical and chemical changes, necessary for the curling and fermenting to take place. 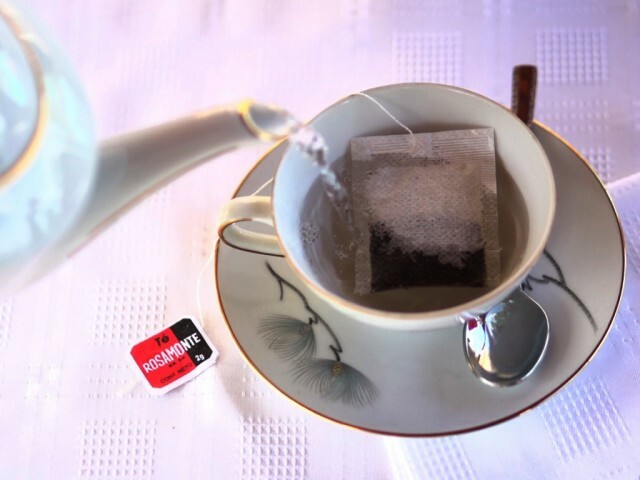 The curling process consists in breaking the sprout cells to liberate certain chemical components that mix with oxygen and develop the black tea’s own qualities such as flavor, aroma and color. Orthodox curlers are used that require more time because each sprout load must be treated at least three times during 25 minutes in each of them. The process started with the curling with the combination of oxygen with the sprouts components, at this stage, temperature (25-30°C) moisture (95-100%) and time of process (1:30-2:00 hrs.) are controlled. A correctly fermented tea must present a Golden color and a pleasant aroma proper to the process. Drying is the process stage that stops the fermenting and lowers the moisture content from 65% to 3%. The entry temperature must not be over 100 °C and the out temperature between 52 to 55°C. The process takes between 20 and 30 minutes. The finality of this operation is to separate the elaborated tea in different size particle fractions. This task is carried out with different classifying machines. 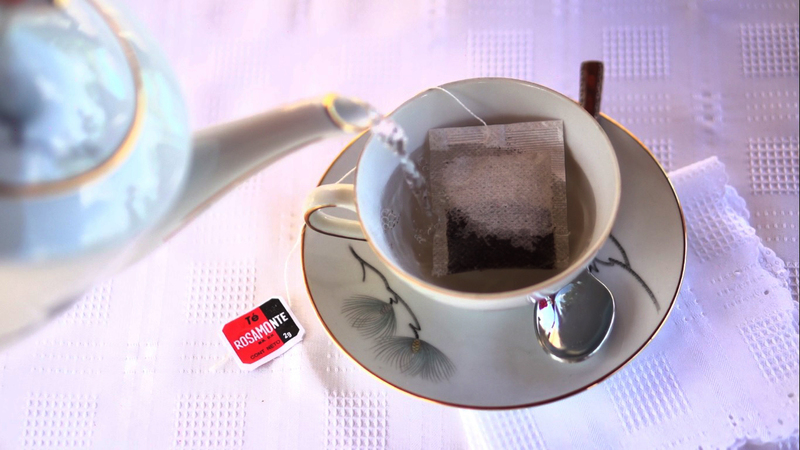 Tea is stored in warehouses with moisture control and ventilation, for periods of 2 to 6 months until it is packaged. The tea mix is the main phase of packaging, it is where the BLEND is obtained, it’s flavor, aroma and color is determined for all the different varieties. Packaging is automatic from the manufacture of the bags, the wrapping and the box. 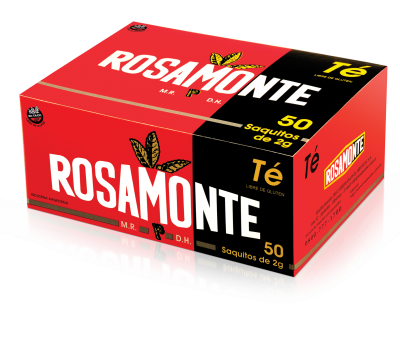 And thus ROSAMONTE increases its production plant with more efficient technology to satisfy present market needs. Strict quality control starts by an active and dynamic choice of raw material supply sources., thus guaranteeing optimum level from the start. Image 1 - Mechanic processs of enveloped tea. Image 2 - Mechanic processs of enveloped tea. Image 3 - Mechanic processs of enveloped tea. The pleasure of enjoying this millenary infusion in ROSAMONTE Tea, provides the proven health benefit of the polyphenols, flavonoids and tannin with their outstanding antioxidizing qualities. It helps reduction of cholesterol helping our immune system and also fluorine for dental health. 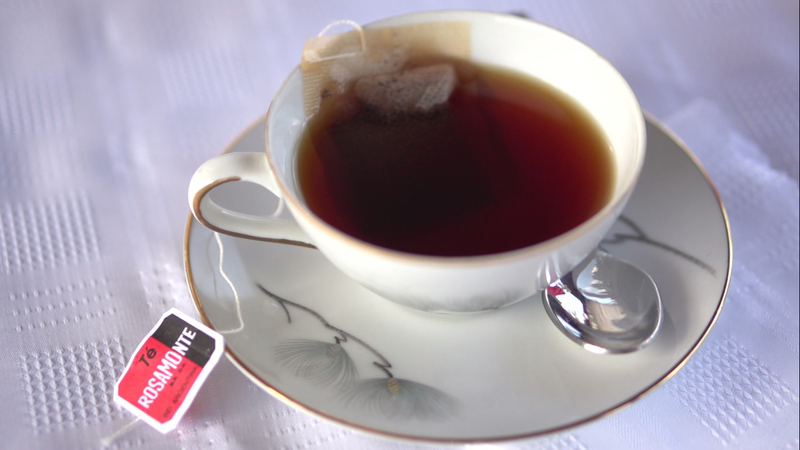 Black tea contains Tannin and minerals as well as vitamins, ethereal oils and theine.